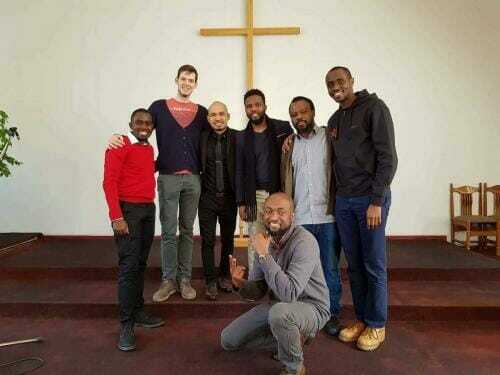 In Estonia, where church growth has been slow or even stagnant, several initiatives have been launched with a desire to reach out to people in Tallinn, the capital of Estonia. New projects include a Center of Influence called Terve Elu Keskus (“Whole Life Centre”), and a lay-led “Kompass Church,” focused on serving young adults and university students. Estonia is one of the Baltic states, with an Adventist Church membership of just 1,460 in a population of 1.3 million. One reason for a decline in membership has been significant, continuing emigration since the 1990s, shrinking the population of this small but strategic country tucked between Russia and Latvia, across the Baltic Sea from Finland. In recent years, immigration is providing new ways for the church to serve an international community that is developing in Tallinn and also in Tartu, the second-largest city. The church has recognized that a growing number of immigrants are working or studying in Estonia or are married to citizens of the country. Del and Hannah Onde are from the Philippines. Together with 6-year-old daughter Zion Amber, they have become an integral part of the international community in the Estonian church, having served as volunteer missionaries for almost two years. The couple help out at the Terve Elu Keskus Center of Influence, and their involvement has led to some international projects, including cooking shows, Filipino community gatherings, and Christmas parties. About 60 Filipinos are living throughout Estonia, but the only Adventists are the Ondes and one other woman who is married to an Estonian. The Ondes first started with an English-speaking small group. This led to an English Sabbath School group in Tallinn First Church. 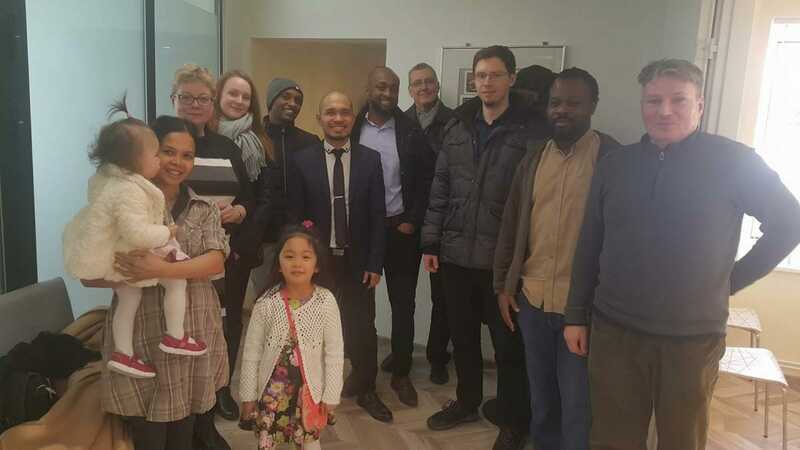 With the full support of the Estonian Conference and local church leadership, a separate English Sabbath worship group began meeting at Terve Elu Keskus in January 2018. Sixteen people attended the first service, and at least 30 percent of them came because of their contacts in the community. The group moved from the Center of Influence to the basement of the Tallinn church. Because the church is in the heart of the city, the move made it easier for international students and personal contacts to visit. The church is also within walking distance for tourists from the cruise ships that visit Tallinn. Thousands of tourists flock to the city from the ships and on national holidays, especially during the summer. Quite often, Adventists are among them and seek a place of worship. “On numerous occasions we have people joining us from different parts of the world like the United States, the Caribbean, Europe, Africa, Asian countries such as Pakistan, and even Estonia,” Hannah Onde explains. Often, up to one-third of the worshipers are not Adventists. “Every Saturday, we never know who will come through that door,” she says.